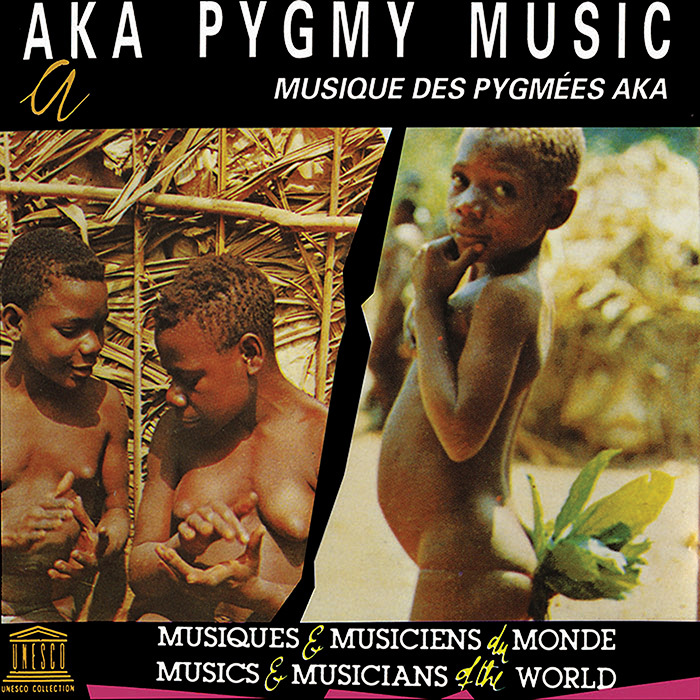 This week’s UNESCO releases feature music of the pygmies on Aka Pygmy Music and Cameroon: Baka Pygmy Music. Often stereotyped as “primitive” or “backward,” the pygmies of Central Africa carry rich cultural traditions, such as these recordings, which introduce the listener to their artistic variety and intricacy. Simha Arom may not be known by all world music fans; nevertheless, the 16 African music LPs he published between 1965 and 1986 were highly influential, and some were even bestsellers. 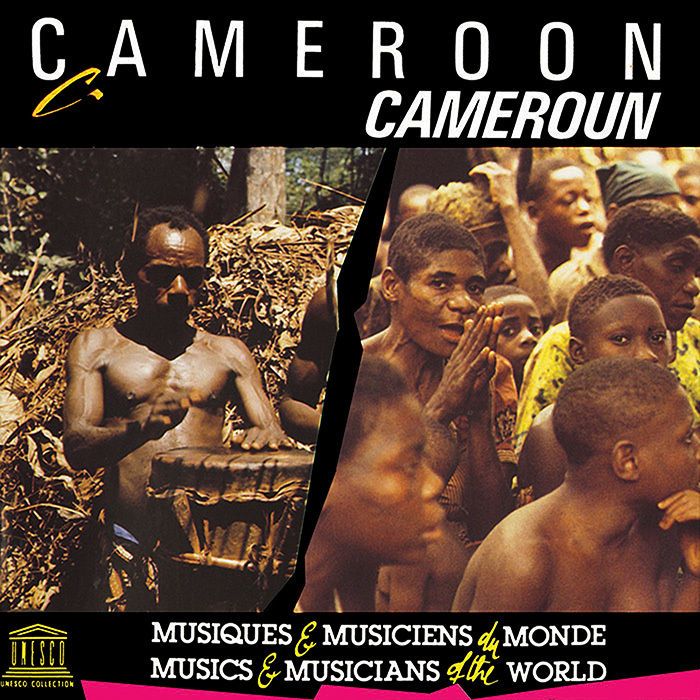 Smithsonian Folkways has now reissued two of them, Aka Pygmy Music and Cameroon: Baka Pygmy Music, as part of the prestigious UNESCO Collection of Traditional Music. In his 1996 article “Pygmy Pop,” ethnomusicologist Steven Feld describes vividly how Arom’s recordings influenced and were appropriated by jazz and pop musicians such as Herbie Hancock, Madonna and Deep Forest.1 Many modern classical composers, as György Ligeti has generously acknowledged, also take inspiration from these recordings. Even before Arom’s releases, the first pygmy recordings published on 78 RPM discs reached a broader audience at the opening of the first CoBrA exhibition in 1949 when the painter Eugene Brands played them as a token of the new vision of this avant-garde art movement. The term pygmy, although convenient and widely used to refer to a number of loosely related communities across Central Africa—the Aka and Baka in the west, the Mbuti in the Ituri forest in the east and the Twa scattered throughout Congo, Burundi and Rwanda—is awkward. Size per se is not the problem, but the term connotes primitiveness and backwardness, or people with no technology and no culture. A century ago, in the name of “evolution,” a pygmy named Ota Benga was put on display in the monkey cage of a New York zoo. This stereotype still lingers on in popular culture and in science under the guise of genetics and modern Social Darwinism. The tracks on both records were selected to give an overview of the different musical genres of the Aka and Baka and of the social contexts in which this music is performed and learned. As a consequence, the pieces are shorter than a typical performance, yet include an astounding variety, from children’s songs, healing ceremonies, sung fables, hunting cries, music lessons, and religious ceremonies to music for entertainment and dancing. Such diversity is not unusual in ethnomusicological records, but this encyclopedic character might be an obstacle for a public used to listening to records representing only one particular style or “groove.” Still, the albums are a great introduction to Aka and Baka music, with a bias towards its dense polyphonic singing. The albums also demonstrate that much of this music is a collaborative improvisation, with everyone in the community possessing a “professional” musical ability learned from childhood and developed by daily performances during work and leisure. This is wonderfully illustrated by tracks like “The Water Drum” on the Baka CD, in which swimming children develop an intricate rhythm by beating the water with cupped hands, or “The Humming of the Bees,” in which ten young girls imitate the movements of bees with their voices, thus creating a fascinating sound labyrinth. The short children’s game and dance songs on Aka Pygmy Music (tracks 8 and 9) illustrate how the practical is combined with play, and gives us the opportunity to hear the acoustics of the rain forest with its church-like reverb. Tracks 3 and 4 let us experience how, searchingly, a melody is developed and then transformed into a polyphonic duet full of contrapuntal variations. The use of abstract vocal sounds, rather than lyrical words, as primary building blocks for melodies is striking throughout the recording, with a highpoint in the elegant alteration of voice and flute in track 12. Comparing the two, Cameroon: Baka Pygmy Music is better recorded: the drums are more prominent, the voices are clearer, and the sounds of the forest have more depth. It also contains gems like track 3, a sung fable, and the seventh track, a spontaneous lullaby. Both albums are relatively short—50 minutes or less—and lack harp songs, a common genre, as well as a number of less common musical instruments, such as the ground bow. This is, however, a minor shortcoming leaving the listener with the happy prospect that there is much more beauty to be discovered in the music of these people. 1 Steven Feld, “Pygmy Pop,” Yearbook of Traditional Music, 1996. 2 Pitt Rivers Museum, Oxford. 3 Jared Diamond, Collapse: How Societies Choose to Fail or Succeed (New York: Viking, 2005).